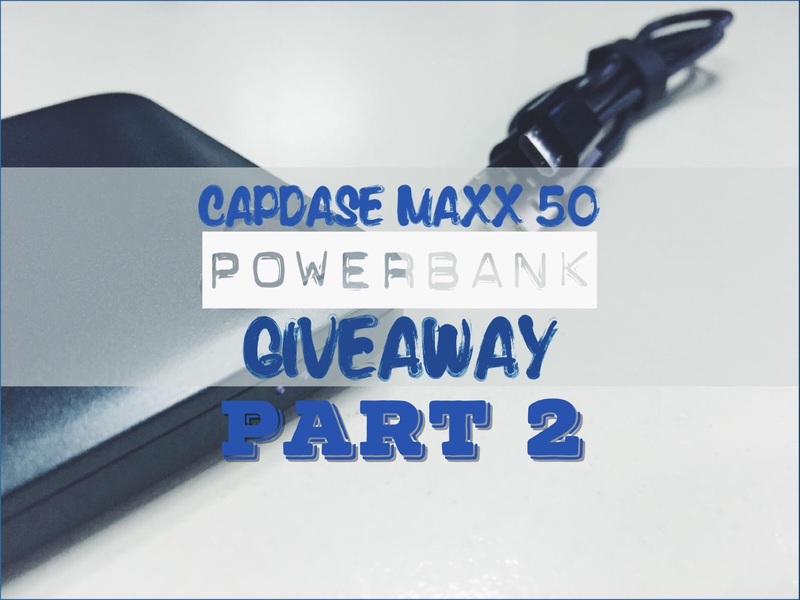 Capdase Maxx Powerbank Giveaway Part 2! We will be giving off another powerbank on October 31st! Join now! We have been overwhelmed by the response you have given us in our Capdase Maxx Powerbank Giveaway Part 1. Now we are rolling it again! This giveaway period will run from October 14 to October 31! 1. Share this article on Facebook. 2. Tell us why you need a Capdase Maxx Powerbank, make your post PUBLIC. 4. Use #CapdasePowerbankPart2 and #CapdasePhilippines hashtags. 5. Tag either Capdase Philippines or Pinoy Metro Geek in your entries. Of course, you also need to LIKE Capdase Philippines (@CapdaseOfficial) and Pinoy Metro Geek on Facebook. We will be giving out one winner of the super slim Capdase Maxx 50 Powerbank for the major prize and Samsung TecTile NFC Tags for the minor prizes. Winners will be announced in October 31! Check out our Capdase Maxx Powerbank review here!